A Supreme Court bench comprising of Justice C.K. Prasad and Justice Pinaki Chandra Ghose today, ruled that Shariat courts have no legal sanction and hence, accepting their fatwa or diktat isn’t obligatory. 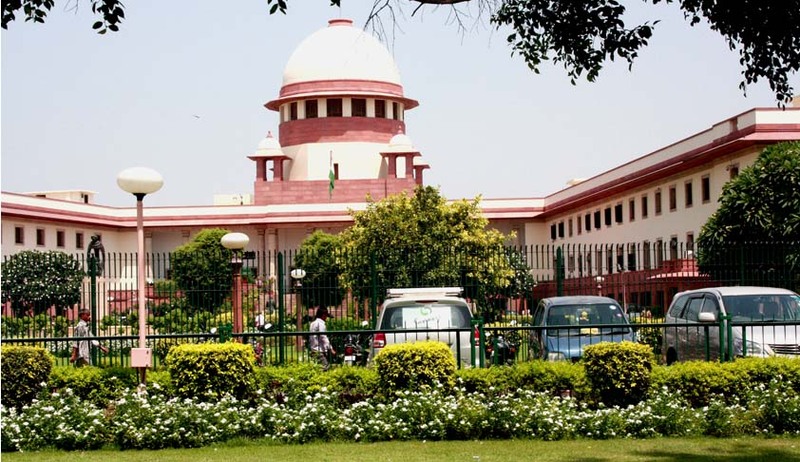 The apex court was approached by a Delhi based advocate, Vishwa Karma Madan, in 2005. He brought a case to the court’s notice, wherein a woman was asked to leave her husband and children and live with her father-in-law who has raped her. He submitted that Fundamental Rights of Muslims couldn’t be restricted and abridged through fatwas by qazis an muftis appointed by Muslim Organizations. It was observed that Islamic judges who interpret and decide on religious law, could pronounce a verdict only when individuals voluntarily submit to them and that their decisions and fatwas are not legally binding. It was submitted by the All India Personal Law Board earlier that fatwas are just opinions of a mufti or a cleric and were not binding on people. Qasim Rasool Niyazi, from the Muslim Personal Law Board, stated that they issue notices which are not of binding nature. The board, as represented by Senior Advocate Raju Ramachandran argued that the citizens are free to approach the Court if their Fundamental Rights are infringed. The Court noted that the orders passed by these authorities are violative of human rights at times and innocent persons are punished. The Bench then observed that no religion, including Islam, advocates punishment of the innocent, and hence, ordered that no 'Darul Qaza' should give verdict which affects rights of a person who is not before it. The Bench had earlier, while reserving its verdict on the petition filed by advocate, observed that fatwas or religious decrees being issued by Muslim clerics were a “matter of faith and choice” and it would be complex for a court to issue blanket orders banning them. It had said that a court can interfere only when somebody’s rights are violated by these decrees. "Don't be over dramatic," the court told the petitioner then, adding, "We will come to her rescue. You are assuming all fatwas are irrational. Some fatwas may be wise and may be for general good also. People in this country are wise enough. If two Muslims agree for mediation, who can stay it? It is a blend of arbitration and mediation." "one may not object to issuance of Fatwa on a religious issue or any other issue so long it does not infringe upon the rights of individuals guaranteed under law. Fatwa may be issued in respect of issues concerning the community at large at the instance of a stranger but if a Fatwa is sought by a complete stranger on an issue not concerning the community at large but individual, than the Darul-Qaza or for that matter anybody may consider the desirability of giving any response and while considering it should not be completely unmindful of the motivation behind the Fatwa. Having regard to the fact that a Fatwa has the potential of causing immense devastation, we feel impelled to add a word of caution. We would like to advise the Dar-ul-Qaza or for that matter anybody not to give any response or issue Fatwa concerning an individual, unless asked for by the person involved or the person having direct interest in the matter. However, in a case the person involved or the person directly interested or likely to be affected being incapacitated, by any person having some interest in the matter. Issuance of Fatwa on rights, status and obligation of individual Muslim, in our opinion, would not be permissible, unless asked for by the person concerned or in case of incapacity, by the person interested. Fatwas touching upon the rights of an individual at the instance of rank strangers may cause irreparable damage and therefore, would be absolutely uncalled for. It shall be in violation of basic human rights. It cannot be used to punish innocent. No religion including Islam punishes the innocent. Religion cannot be allowed to be merciless to the victim. Faith cannot be used as dehumanising force".